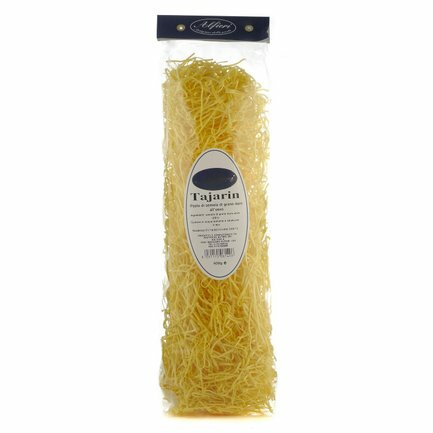 Pasta made with durum wheat semolina and fresh eggs. Ingredients durum wheat semolina, eggs 26%. Allergens: gluten, eggs. For more information on product labels, please contact our Customer Service department. The information on the labels of the products may vary for reasons beyond our control, therefore, there may be discrepancies between the information on the site and that on the products delivered. Please always check the information on the product before consumption or use. Alfieri: a guarantee of quality that defines all the specialties from Domenico Massucco. For more than 40 years, Domenico has been working with high quality food in its artisan laboratories in Magliano Alfieri and Priocca, with the help of his children Dario and Elena, and prepares every day true delicacies to be enjoyed. 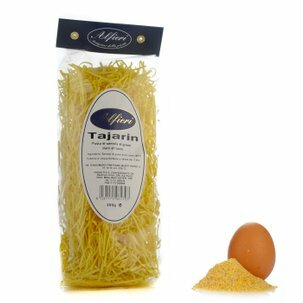 For example, the Alfieri tajarin are prepared by hand and knead with many top quality eggs. 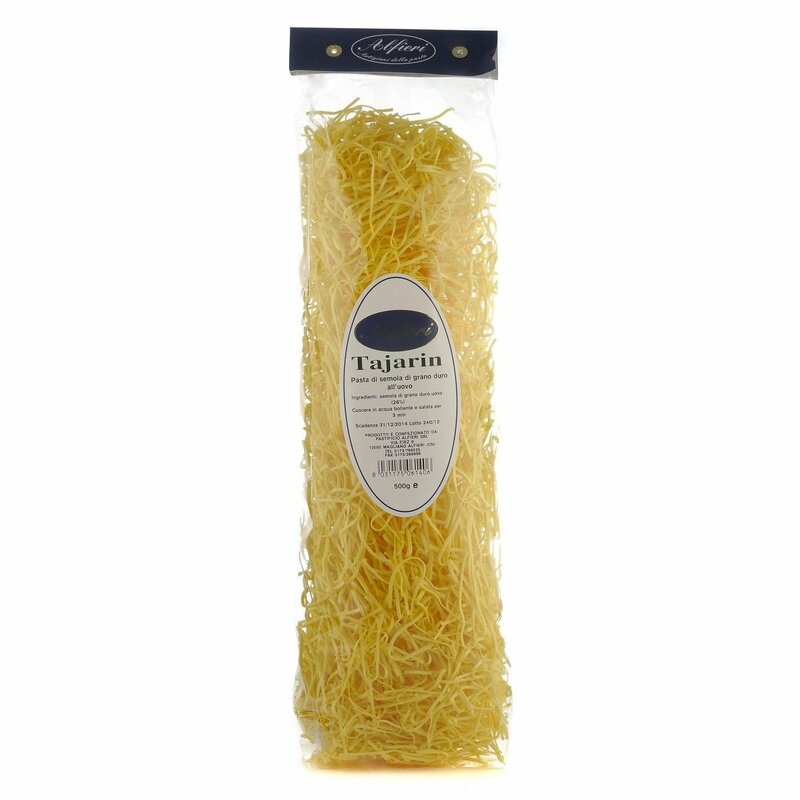 Typical regional ingredients are used for the sauces and conserves, as well as for the many dried specialties that can delight even the most demanding palates.